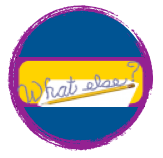 9/21 All Google Classroom: What's that? Alliteration-- Repeated beginning consonant sounds, such as "feather fingers flapping"
Consonance-- Repeated consonant sounds, such as Edgar Allan Poe's "The Raven." For example: "And the silken sad uncertain rustling of each purple curtain"
Metaphor -- comparing two different objects --- "Her sparkling eyes are stars." Poetic Devices -- Learn them here. Compfight Remember to Click "Creative Commons"
Comments for Kids Blogs: Write positive and complete comments on a blog when you receive a comment. Go to #comments4kids and choose a tweet with a link to new posts.